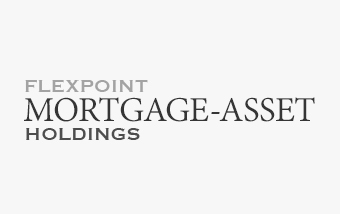 Flexpoint Mortgage-Asset Holdings (“FMAH”) was formed in 2013 to acquire re-performing first lien mortgage loans (“RPLs”). RPLs are loans that have gone delinquent for a period of time and subsequently the borrower began making payments again. Often, this is a result of the mortgages being modified (principal reduction, interest reduction, etc.). FMAH acquires pools of these RPLs, typically from non-performing loan (“NPL”) funds though our partnership with a special servicer, Gregory Funding, and another large institutional investor. Once acquired, the RPLs are held until sufficient collateral to support a securitization is aggregated. Bonds are then issued through a real estate mortgage investment conduit (“REMIC”), a common securitization vehicle for mortgages. The senior bond interests of the REMIC are sold to large money management firms and FMAH retains the junior tranches.